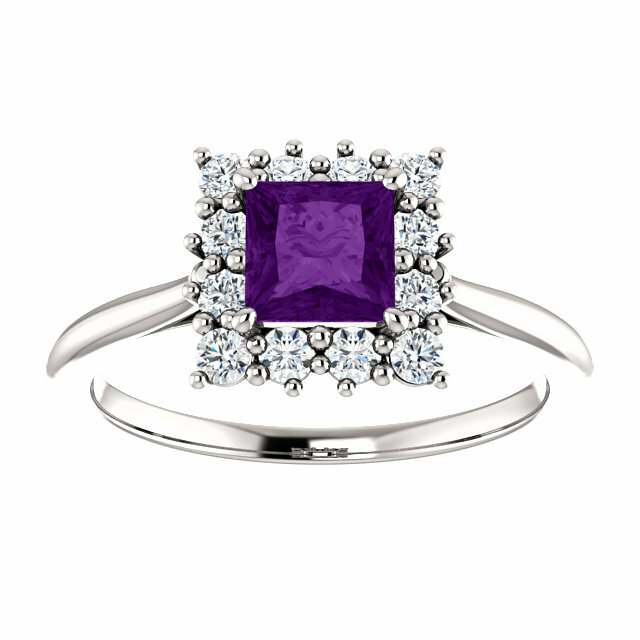 From plums to the night sky, purple is a color that has been a favored by many for its stunning and beautiful shades. 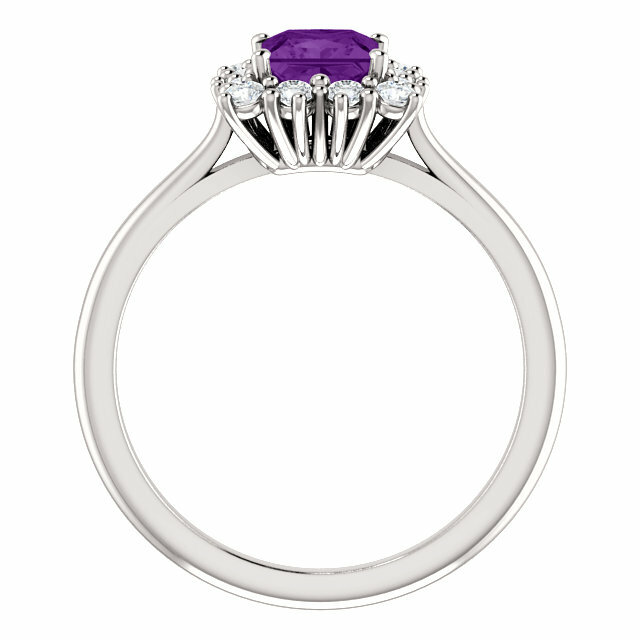 Purple amethyst is well known for its deep, almost royal violet hue that is enhanced by the brilliant, sparkling diamonds that surround it, giving it a halo effect. 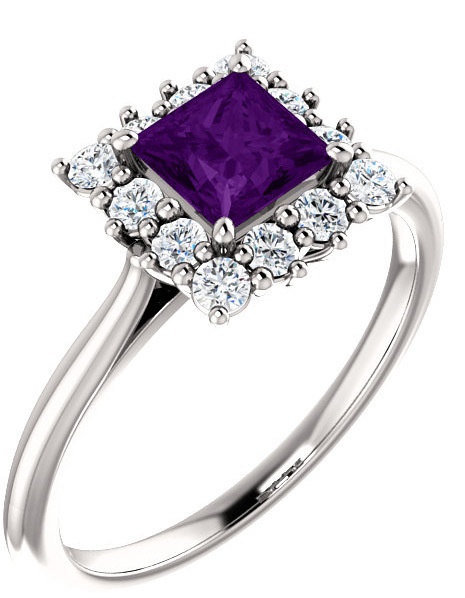 The princess-cut purple amethyst stone, which is AA rated, is surrounded by white diamonds that add a unique flair to the design and look fantastic when paired with a 14k white gold ring. The diamonds, which are 0.36 carat, are of G-H color quality and Sl1 clarity. Add extra flair to other jewelry pieces or choose this ring as part of a bridal set - Apples of Gold Jewelry's real gemstones look beautiful with other pieces or on their own! We guarantee our Square Princess-Cut Purple Amethyst and Diamond Halo Ring to be high quality, authentic jewelry, as described above.